I think I understand why streetcars built Portland’s east side a century ago. Of course, streetcars transport people from here to there relatively quickly. But, they do more than move people around. 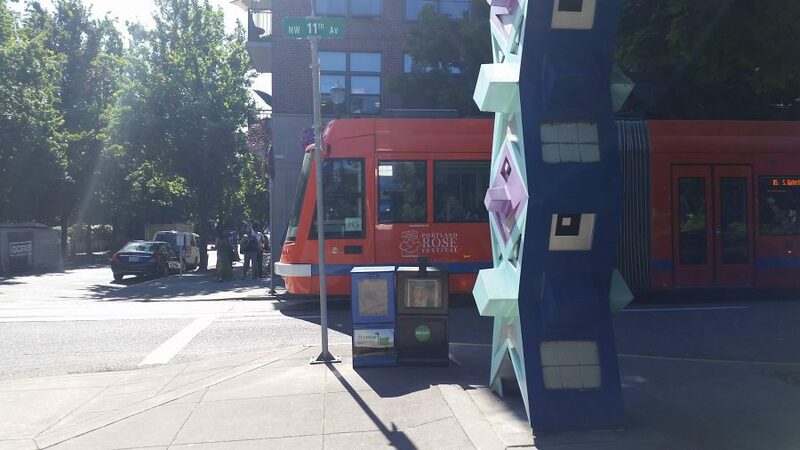 As I’ve been riding the Portland Streetcar into the Pearl District recently, I’ve seen how the Portland Streetcar connects the city. I boarded the Portland Streetcar recently out of necessity. Planning to take the bus from the east side to downtown, I abruptly changed plans when the bus couldn’t get onto the Hawthorne Bridge. Sitting on the trapped bus, I watched one streetcar pass by with envy. It was moving. About five minutes later, I decided to take my chances with the streetcar. It was a great decision. Not only did the streetcar get me moving again, I began to experience the city a bit differently than from the bus. I don’t know if the gentle rocking motion of the train lulled me into a stupor. Or, if I just relaxed because somehow the streetcar navigated the traffic with ease. But, I started to feel part of the city – in a good way. I know I’ve written about this before. Portland’s original streetcars helped build Portland’s east side neighborhoods. From the 1890’s through the 1950’s, streetcars filled the city’s streets. Neighborhoods and little commercial districts sprung up along the lines. People boarded the streetcars to go to work and to just get around. Now, Portland only has two streetcar lines: the North-South Line and the Loop Service. Still, I think the impact is just as great as it was a century ago. It’s been busy every time I boarded a streetcar. Some passengers ride for a few stops. Others stay on board longer than I do. I’ve encountered tourists, commuters, and the less-privileged. Yet, we all have one thing in common. We’re on the streetcar because it’s convenient or even necessary. We’re on the streetcar because it works. According to Wikipedia, the 21st Century Portland Streetcar has also spurred development in the city. However, unlike the historical streetcars, our current streetcars are rebuilding neighborhoods in the city’s core. In fact, redevelopment was one goal when the Portland Streetcar started. One study even reported that the line to the SW Waterfront resulted in 10,000 new units in two blocks. (See Footnote 56, Wikipedia). I can’t think about the Portland Streetcar without thinking about the Pearl District. Of course, the streetcar didn’t make the Pearl District. 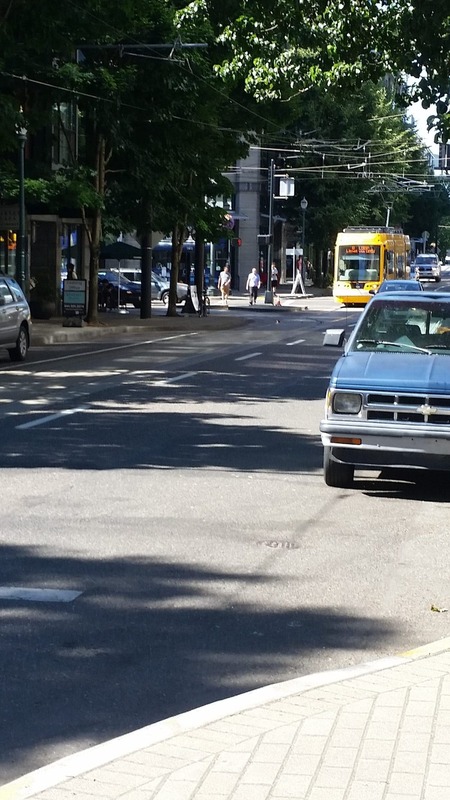 In fact, it’s possible the Pearl District helped the streetcar. But, I do think it’s possible the streetcar changed the Pearl District. I get off the streetcar in the Pearl District near Jamison Square. Sometimes I arrive a head of schedule because the streetcar is just faster than I think it will be. One afternoon, I spent some time at Jamison Square soaking it all in. I noticed a few things. First, this is a part of the Pearl District where people live. Second, it’s almost tranquil there for such a dense part of the city. And, I think the streetcar has made that possible. Somehow, the streets with the streetcar tracks are quieter – at least they feel quieter. I never feel rushed or even pressured by cars when I get off the train. 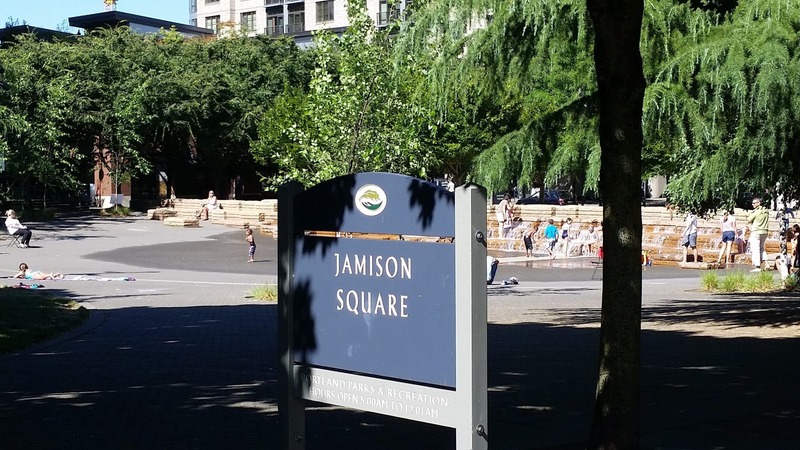 As I sat on a bench in Jamison Square the other day, I first noticed how little street noise I heard. 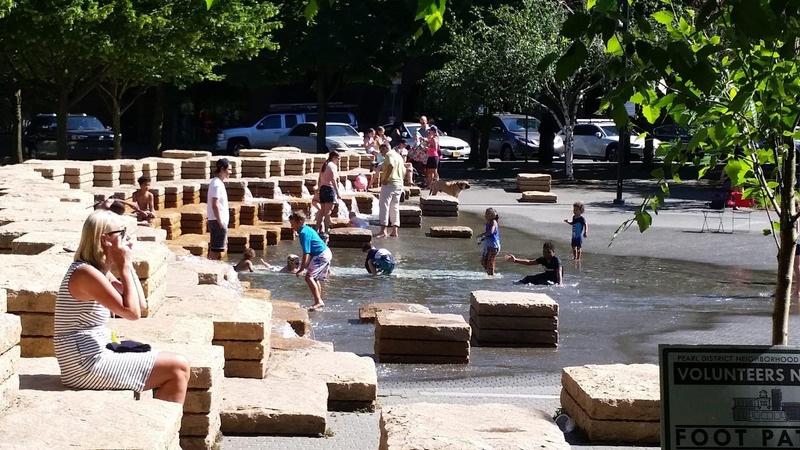 The sounds of children playing in the fountain almost echoed around the tall buildings. Then, I realized the peace I felt was possible because people were walking to the park. Or, taking the streetcar perhaps. The streetcar was integral to the ambiance. The streetcar connected it all together. I was not surprised when I read that 10,000 new units were built in the SW Waterfront after the streetcar arrived. Knowing the historical impact the streetcars had in the city, and after experiencing the streetcar myself, it just made sense. The streetcar makes getting around dense, populated areas easy. It offers frequent stops like a bus, but feels less hectic. Often, it’s faster than a bus because it gets through congested streets nimbly. I think the streetcar makes an area like the SW Waterfront a more attractive place to live and to visit. Now, with Tilikum Crossing, the SW Waterfront is also connected to OMSI and the central east side. A 15-20 minute trip by car is less than a 10 minute train ride, without all the hassle. As the city gets denser, the streetcar becomes even more of a time saver. The Loop Service also connects OMSI with LLoyd Center in about 15 minutes. Businesses along Martin Luther King Boulevard and SE Grand, and in the Eastside Industrial District, are booming. Is it because of the streetcar? Similarly, the streetcar passes near the new development at the foot of the Burnside Bridge. As I rode past the new towering apartment buildings and the long line of cars the other day, I couldn’t help but think of what Portland was like 100 years ago. I kept imagining how it might have felt when the streetcar opened up new areas of the city to everyone. Now, the streetcar makes an older part of the city accessible and desirable again. I felt connected to the past and to the future as we traveled through the new streetcar neighborhood. In a way, the streetcar is a catalyst for connection. Not only do I feel connected to the central city when I board the train, but I also feel connected to the people traveling with me and to Portland’s history. Just this week I helped tourists board the correct streetcar downtown. Last week I chatted with a fellow commuter. Conversations are just easier on the streetcar than the bus or even MAX. Somehow, I also feel connected to the people who rode the streetcars so many years ago. I imagine they felt a similar sense of freedom on the streetcars – the freedom to get around and explore a city going through massive changes. Or perhaps, I too am playing a part in an historical change in the city. I wonder if I am part of a movement changing Portland from a car-centric city to a city whose citizens rely heavily on public transportation. Yet, riding the streetcar is just an everyday activity. For many people now and in the past, riding the streetcar is simply a way to get from here to there. We don’t give it much thought when we board. Hopping on and off a streetcar is just part of living in Portland. We take for granted how the streetcar connects the city.